The Joseon Dynasty (1392-1910), often spelled Choson or Cho-sen and pronounced Choh-sen, is the name of the last pre-modern dynastic rule in the Korean peninsula, and its politics, cultural practices and architecture reflect an explicitly Confucian flavor. The dynasty was established as a reformation of the hitherto Buddhist traditions as exemplified by the preceding Goryeo dynasty (918-1392). According to historical documentation, the Joseon dynastic rulers rejected what had become a corrupt regime, and reconstructed Korean society into the precursors of what is today considered one of most Confucian countries in the world. Confucianism, as practiced by the Joseon rulers, was more than simply a philosophy, it was a major course of cultural influence and an overriding social principle. 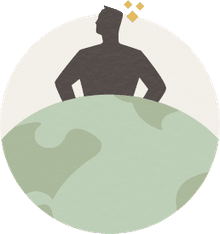 Confucianism, a political philosophy based on the teachings of the 6th century BC Chinese scholar Confucius, emphasizes the status quo and social order, as a trajectory aimed towards creating a utopian society. Joseon kings and their Confucian scholars based much of what they perceived as the ideal state on Confucius' stories of the legendary Yao and Shun regimes. This ideal state is perhaps best represented in a scroll painted by An Gyeon, the official court painter to Sejong the Great (ruled 1418-1459). The scroll is titled Mongyudowondo or "Dream Journey to the Peach Blossom Land", and it tells of Prince Yi Yong's (1418-1453) dream of a secular paradise supported by a simple agricultural life. Son (2013) argues that the painting (and perhaps the prince's dream) was likely based in part on the Chinese utopian poem written by the Jin dynasty poet Tao Yuanming (Tao Qian 365-427). The first ruler of the Joseon Dynasty was King Taejo, who declared Hanyang (later to be renamed Seoul and today called Old Seoul) as his capital city. The center of Hanyang was his main palace, Gyeongbok, constructed in 1395. Its original foundations were built according to feng shui, and it remained the main residence for the dynastic families for two hundred years. Gyeonbok, along with most of the buildings in the heart of Seoul, was burned down after the Japanese invasion of 1592. Of all the palaces, Changdeok Palace was the least damaged and so was rebuilt shortly after the war ended and then used as the main residential palace for Joseon leaders. In 1865, King Gojong had the entire palace complex rebuilt and established residence and the royal court there in 1868. All of these buildings were damaged when the Japanese invaded in 1910, ending the Joseon Dynasty. 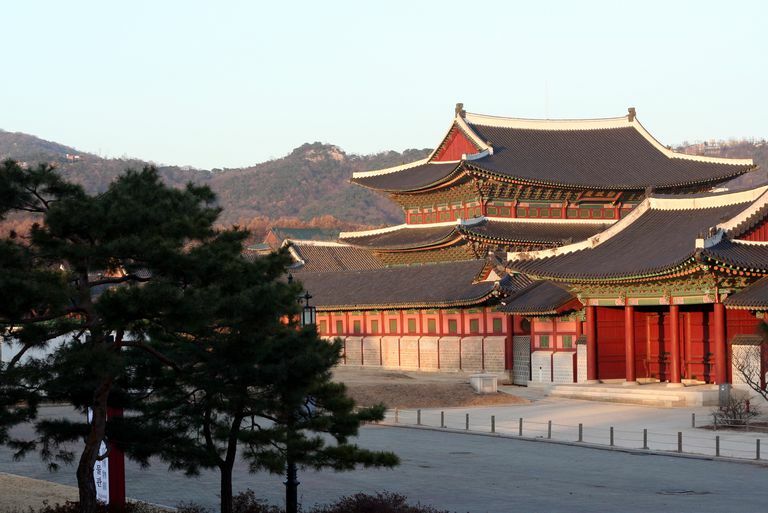 Between 1990-2009, the Gyeongbok Palace complex was restored and is today open to the public. Of the many reformations of the Joseons, one of the highest priority was that of the funeral ceremony. This particular reformation had considerable impacts on 20th-century archaeological investigations of Joseon society. The process resulted in the preservation of a wide variety of clothing, textiles, and papers from the 15th through 19th centuries, not to mention mummified human remains. Funeral rites during the Joseon Dynasty, as described in the Garye books such as the Gukjo-ore-ui, strictly prescribed the construction of tombs for the members of the elite ruling class of Joseon society, beginning in the late 15th century AD. As described by the neo-Confucian Song Dynasty scholar Chu Hsi (1120-1200), first a burial pit was excavated and a mixture of water, lime, sand, and soil was spread on the bottom and the lateral walls. The lime mixture was allowed to harden to a near-concrete consistency. The body of the deceased was placed in at least one and often two wooden coffins, and the entire burial covered with another layer of the lime mixture, also allowed to harden. Finally, an earthen mound was built over the top. Some recent research on Joseon society has been focused on the astronomical capabilities of the royal court. Astronomy was a borrowed technology, adopted and adapted by the Joseon rulers from a series of different cultures; and the results of these investigations are of interest to the history of science and technology. Joseon astronomical records, studies of sundial construction, and the meaning and mechanics of a clepsydra made by Jang Yeong-sil in 1438 have all received investigations by archaeoastronomers in the last couple of years. Choi J-D. 2010. The palace, the city and the past: controversies surrounding the rebuilding of the Gyeongbok Palace in Seoul, 1990–2010. Planning Perspectives 25(2):193-213. Kim SH, Lee YS, and Lee MS. 2011. A Study on the Operation Mechanism of Ongnu, the Astronomical Clock in Sejong Era. Journal of Astronomy and Space Sciences 28(1):79-91. Lee E-J, Oh C, Yim S, Park J, Kim Y-S, Shin M, Lee S, and Shin D. 2013. Collaboration of Archaeologists, Historians and Bioarchaeologists During Removal of Clothing from Korean Mummy of Joseon Dynasty. International Journal of Historical Archaeology 17(1):94-118. Lee E-J, Shin D, Yang HY, Spigelman M, and Yim S. 2009. Eung Tae's tomb: a Joseon ancestor and the letters of those that loved him. Antiquity 83(319):145-156. Lee K-W. 2012. Analysis of Korean astronomical records with Chinese equatorial coordinates. Astronomische Nachrichten 333(7):648-659. Lee K-W, Ahn YS, and Mihn B-H. 2012. Verification of the calendar days of the Joseon Dynasty. Journal of The Korean Astronomical Society 45:85-91. Lee K-W, Ahn Y-S, and Yang H-J. 2011. Study on the system of night hours for decoding Korean astronomical records of 1625–1787. Advances in Space Research 48(3):592-600. Lee K-W, Yang H-J, and Park M-G. 2009. Orbital elements of comet C/1490 Y1 and the Quadrantid shower. Monthly Notices of the Royal Astronomical Society 400:1389-1393. Lee YS, and Kim SH. 2011. A Study for the Restoration of the Sundials in King Sejong Era. Journal of Astronomy and Space Sciences 28(2):143-153. Park HY. 2010. HERITAGE TOURISM: Emotional Journeys into Nationhood. Annals of Tourism Research 37(1):116-135. Shin DH, Oh CS, Lee SJ, Chai JY, Kim J, Lee SD, Park JB, Choi I-h, Lee HJ, and Seo M. 2011. Paleo-parasitological study on the soils collected from archaeological sites in old district of Seoul City. Journal of Archaeological Science 38(12):3555-3559. Shin DH, Oh CS, Shin YM, Cho CW, Ki HC, and Seo M. 2013 The pattern of ancient parasite egg contamination in the private residence, alley, ditch and streambed soils of Old Seoul City, the Capital of Joseon Dynasty. International Journal of Paleopathology 3(3):208-213. Son H. 2013. Images of the future in South Korea. Futures 52:1-11.